Great Britain’s Kelly Simm has been dealt a blow after being ruled of the upcoming European Championships. 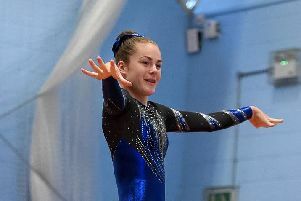 Kelly Simm is looking forward to the chance to compete individually for the Great Britain squad in the European Championships. 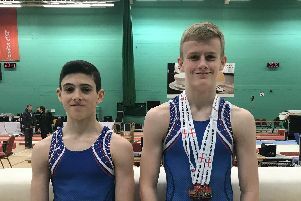 Portsmouth talent Felix Coomber secured a bronze medal with a brilliant display at the English Championships. 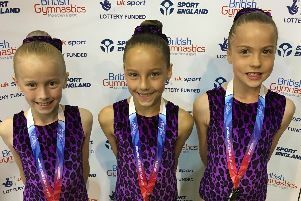 Su Killeen’s recognition from British Gymnastics has been a huge boost to the excellent work taking place at Suki. Suki director of coaching Su Killeen will find out on Saturday if she wins a prestigious British Gymnastics award for her fantastic contribution to the sport. A super show from Suki ensured they ended the year in style. 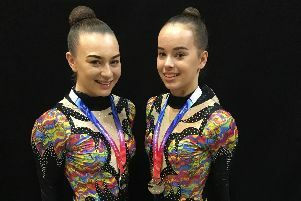 Kelly Simm clinched a 19th-placed finish in the women’s all-round gymnastics final at the World Championships in Doha earlier today. 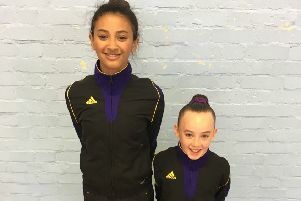 Some brilliant performances saw Portsmouth gymnasts star in the London and regional championships. 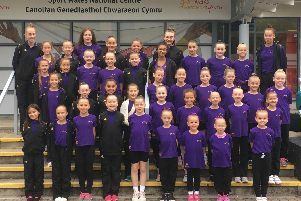 Suki gymnasts enjoyed a lucrative trip to Cardiff for the Welsh Aerobic Open Championships. 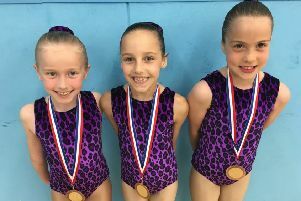 The Portsmouth Gymnastics Club novice festival proved a huge success once again. 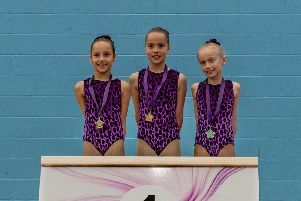 A brilliant show from Portsmouth gymnasts saw them land five individual titles from the Hampshire levels competition. 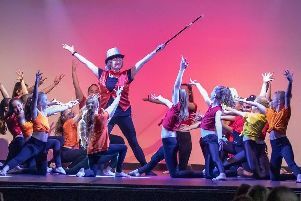 Team Suki shone in the IAC and RAC competition hosted at Brune Park School, in Gosport. A silver medal was a good result for Rebecca Girling and the Great Britain women’s eight crew from the European Championships. 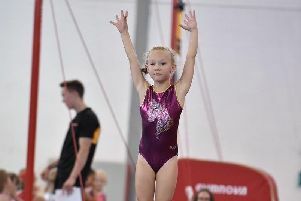 Natalie Porter praised an excellent Suki performance at the British Championships. 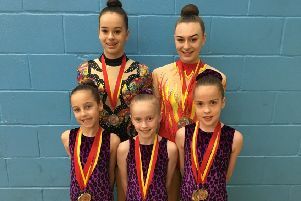 The dedication and hard work paid off for Suki gymnasts in the British Championships. 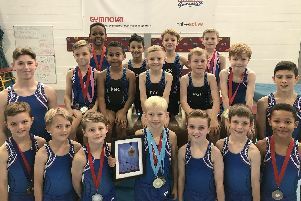 EXCELLENT displays saw the Suki gymnasts shine in the highly-competitive Heathrow Open Club Championships. CLOE TRAVERS is new to aerobics and has been absolutely flying this year. 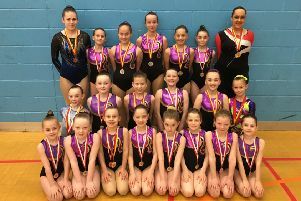 SUKI foundation gymnasts took centre stage on Sunday. 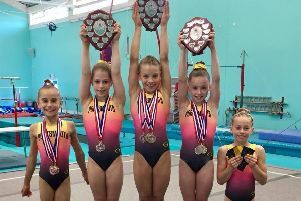 SUKI GYMNASTS starred in the Southern Region Championships. 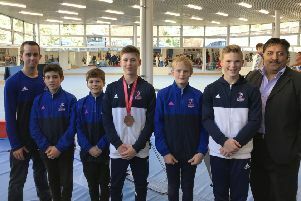 PORTSMOUTH gymnasts starred in the Czech Republic with some excellent performances.